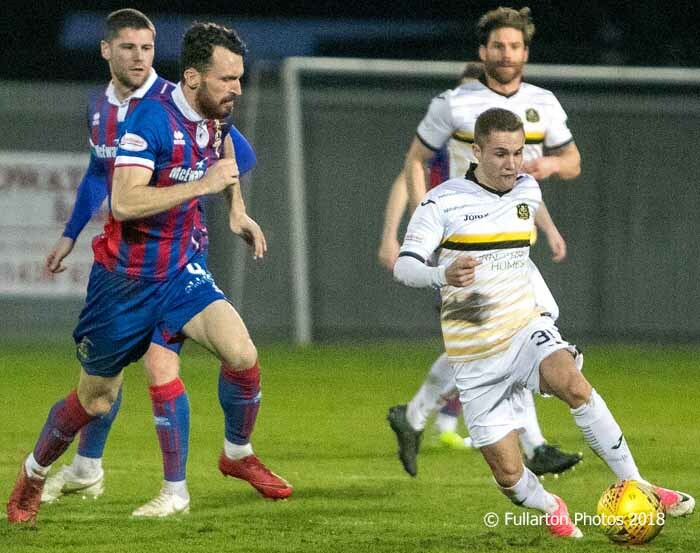 DUMBARTON's place in the Ladbroke Championship play-offs was confirmed this week before they faced Inverness Caledonian Thislte at the YOUR Radio FM 103 Stadium. A won for Falkirk over champions St Mirren the previous night meant that the play-offs loom and the outcome against Caley would not change that. In the event they lost 1-0, their third defeat at the hands of the Inverness side in two months despite a spirited performance..
Tom Walsh headed over an open goal early on when netting looked easier, and a 56th minute strike by Iain Vigurs proved enough for the visitors who returned to the Highlands with three points. On a difficult night for Stevie Aitken's men, keeper Scott Gallacher was stretchered off with what looked to be a serious ankle injury.